Whidbey Island Gem Gallery offers you quality jewelry and gifts made from natural gemstones, crystals, fossils, and precious minerals. Much of our jewelry inventory dates back before methods for enhancing or treating gemstones became the common place practice of today's market. We also offer informative notes throughout our store to help educate our customers about the origins, characteristics, and folklore associated with these natural treasures. Closed Tuesdays. Come on By!!!!!! 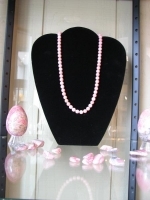 Come see our beautiful variety of hand-crafted jewelry made with natural faceted gems, beads, cut stone, and crystals. We offer a wide selection of dishes, boxes, lamps, and other gifts handcrafted from precious stones, crystals, minerals and fossils. Beautiful Gemstones and Gifts! Beautiful Whidbey Island! Whidbey Island, Washington is a beautiful Shangri-La nestled in the blue waters of Puget Sound by the Olympic Penninsula. Its pristine forests and fresh sea air are the perfect setting for our Gem Gallery! Located just north of Seattle, Whidbey Island is the home of artists from all over the world! Come visit us in Langley and experience our wide selection of gems, jewelry, and precious stonework exquisitely crafted by international artists. 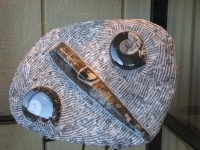 We also offer a large selection of natural crystals, fossils, and other beautiful treasures from nature. The view outside our window is spectacular. We are right on the water to watch the whales and other sea life!